Discover Yamaha YDP 181. On this page we are going to look at Yamaha YDP 181 Review. What makes it tick? Why is it the best option over others and value for your money. 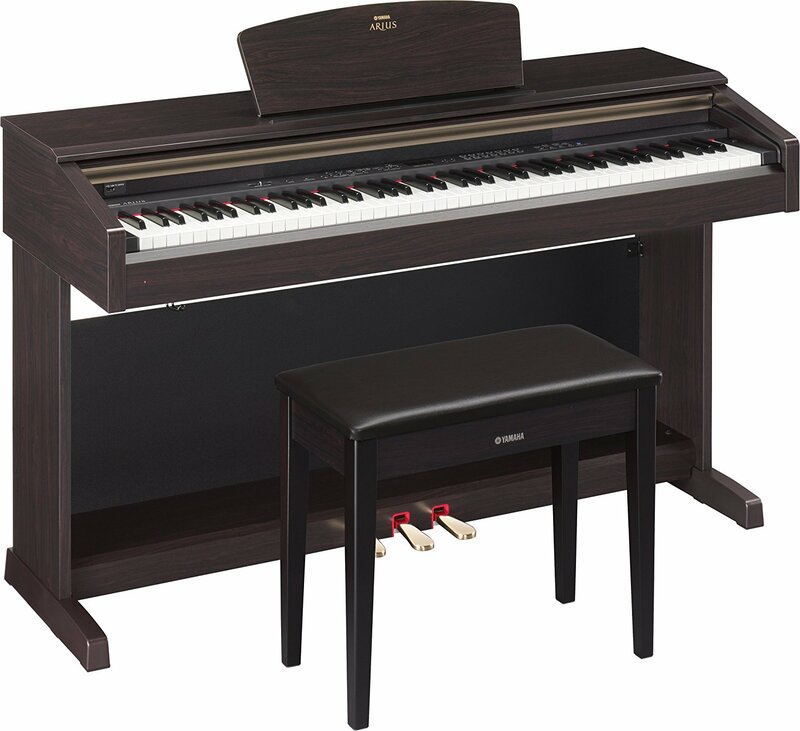 Yamaha Arius YDP-181 will give you a perfect true piano feel and full control you need from a digital piano. This piano is ideal for beginning students as well as experienced players. The YDP series from Yamaha provides true piano sound and feel. There is something amazing about this keyboard that will keep you glued to it, The Graded Hammer keyboard. The three level AWM Dynamic Stereo Sampling Voices will give you an extraordinarily authentic sound. This is just a glimpse on what yamaha ydp 181 arius has to offer. It has gained popularity and has become a darling to many as it provides rich acoustic sound, realistic key action and it is well designed to blow your mind away. Let’s jump into Yamaha YDP181 Review and see what make it shine over the others. More like traditional acoustic piano, the higher note on this piano are more responsive to lighter playing while lower notes have a heavier touch. It also features an extra key sensor which is able to reproduce fast repetitive single note with perfect expression. The black keys have a matte finish that enhances the keyboard’s luxurious look. The piano contains a dedicated touch button located on the front panel. This button enables you to match your playing style. You can select soft, medium or hard. Turn off the sensitivity for a fixed response setting. The Advanced Wave Memory is a sampling system that generates realism of an acoustic instrument by using the digital technology from Yamaha. It does this by applying high quality digital filter technology to the recorded audio samples. Depending on the playing strength from pianissimo to fortissimo the waveform of the sound created by playing the key of an acoustic piano may vary. Yamaha 181 has a USB port that you can use to transfer or save your performance. Yamaha YDP 181 has a maximum 128-note which can be played at once. Its built-in three-song performance memory gives you the opportunity to record a song. It also gives you more room where you can change tempo or Voices even after you have recorded your performance. The speakers are amazing; the piano comes with built-in stereo 16cm speakers that will give you the sound you need. Yamaha YDP 181 contains 50 classic piano songs. You can use these songs for background music or as learning reference.